New strata Laws will commence on 30 November 2016 and the New Building Defect Bond Scheme will start 1 July 2017. According to NSW Fair Trading, currently, more than one-quarter of NSW’s population lives in, owns or manages strata apartments and townhouses. Many new requirements will not impact Australian communities immediately. This includes allowing time for pre-appointed strata managing agents, building managers and executive committee members to continue in their roles until the law reform starts. A clearer and simpler three-teared renovation process, which waives approval for cosmetic reservations within the strata lot (for example, installing hand rails for safety). Legal proceedings already underway will be dealt with under the former Act that was in place when the proceedings began. Strata Managers will have new requirements to disclose conflicts of interest, including financial interest. Strata Managing Agent Agreements will be time limited to one year (in the first year of the strata scheme) and three years in following years, with possible three month extensions able to be granted. The new process will allow owners to jointly wind up a strata scheme so the site can be sold or renewed. The reforms also attempt to ensure the owners receive at least the market value of their lot, plus an extra amount for costs like those associated with moving. Fair Trading will establish a Strata Renewal Advice and Advocacy Program to provide free advice for vulnerable and elderly residents including referrals to support services. 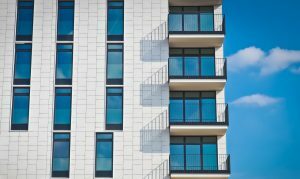 Strata buildings to be inspected for defects against the new Australian Standard, which will be instituted as the standard for inspection of group-titled buildings. The reform introduces mandatory defect inspection reports and a building bond. The developer will also need to prepare a maintenance schedule, to be tabled at the first AGM of a new scheme to inform owners about their maintenance obligations. It is said that these changes will increase builder and developer accountability, and enable defects to be identified and fixed early and prolong the life of the building. The building bond will be for the construction of strata buildings over three storeys high. Developers will be required to lodge a 2% bond for the final contract price of the building, in the form of security to fix any defective work. Developers will need to pay to engage an independent building inspector to provide defect inspection reports. A final report is due between 15 and 18 months after completion of the building. The final report must be provided between 21 months and no later than 2 years after the building work is completed. The owner’s corporation must agree to the appointment. If there is no agreement or the developer ceases to trade after the building work is complete, Fair Trading will arrange for an inspector to be appointed. If the defects are not rectified, the building bond will be used to carry out the repairs. If there are no defects or they are rectified, the bond will be returned to the developer. The reforms are intended to provide clearer, common sense approvals for owner renovations. They will waive restrictions for cosmetic changes to lots such as inserting a picture hook. Renovations with a lasting impact, such as installing floorboards, will still require approval but only a general resolution (50% of the vote) for renovations like those that affect the structure or external appearance of the building, or waterproofing, will still require a special resolution (75% of the vote). Changes to proxy voting will prevent an individual controlling owners decisions by obtaining a majority of proxy votes (that is, voting rights delegated to them by other owners). Reforms will introduce a model by-law dealing with smoking that intrudes into the common property or another person’s lot. The reforms will also amend the model by-laws to make it easier to keep pets as opposed to automatically prohibiting pet ownership in a scheme. Model by-laws are supported by by-laws that an owners corporation can choose to adopt, or use to amend their current enforceable by-laws if they wish. Model by-laws do not remove a schemes ability to make its own rules about smoking and pets. The model by-laws are not the by-laws of a scheme unless they are formally adopted. Tenants will have the right to attend owners corporation meetings, no matter how many of the lots are tenanted in their scheme. Tenants may vote only if they hold a proxy, giving them voting rights on the lot owner’s behalf. The owners corporation may vote to allow a tenant to speak on a particular matter. Tenants can be excluded from a meeting when financial matters are discussed. If at least half the lots are tenanted, a tenant representative can be nominated as a non-voting member of the strata scheme. The representative may still be excluded from meetings when financial issues are discussed, such as the collective sale or renewal process. The new laws will require developers to set realistic levies during the period between when the strata plan is registered, and the developer has sold at least one-third of the unit entitlements in the scheme (the initial period) and for the subsequent year after. Owners corporations will be able to more easily recover outstanding levies that are mainly used to pay the scheme’s day to day expenses. The Common Property Memorandum sets out whether the owner’s corporation or an owner of a lot is responsible for the maintenance, repair or replacement of any part of the common property. For more information contact Nicole Rockliff at Rockliffs Lawyers.